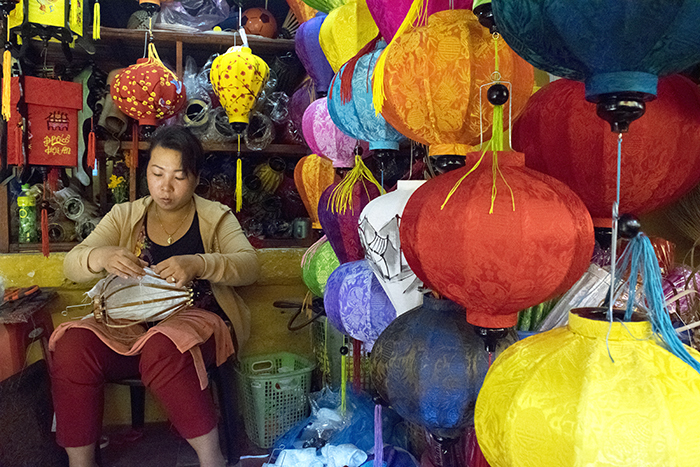 Hoi An is famous for excellent craftsmanship, whether it be tailored suits, leather shoes and bags, cloth lanterns, or jewelry. It's the place to go if you're looking for a unique keepsake from Vietnam. Many travelers have jackets and suits fashioned for themselves and then shipped home, all for a quarter of the price of the same items back in America or Europe. And the choices for fabrics and styles are endless; often, people just bring in photographs that they'd like to copy and the tailors go right to work. The streets are lined with specialty shops, including the open storefront of the lantern-maker featured above. 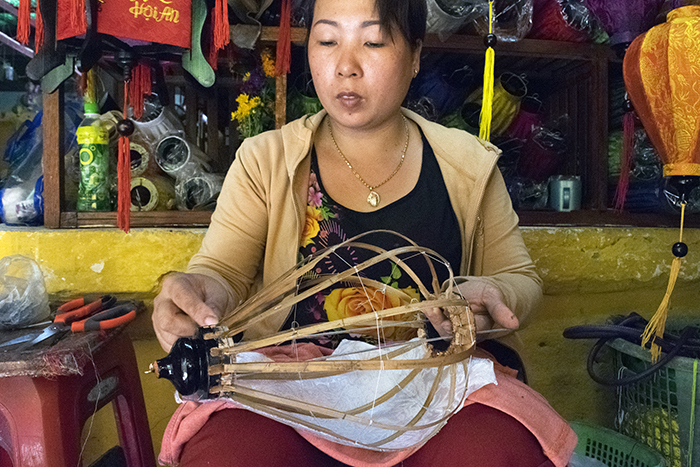 I spent six days in Hoi An and every afteroon I saw this artist in her stand, her sticky, glue-coated fingers nimbly twisting string and carefully stretching bright, patterned fabrics over bamboo skeletons.